Local Name: Albahaca (Spanish in Surigao); ENGLISH : Country mallow, Flannel weed, Heart-leaf sida. 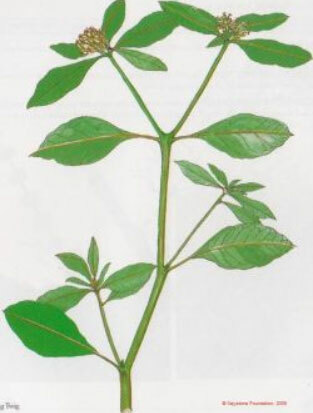 Product Description: An erect, half-woody shrub, 0.4 to 1 meter in height. It is covered with soft, velvety hairs mixed with which are numerous longer hairs. The leaves are alternate, heart-shaped at the base, rounded at the apex, toothed margins, and from 1.5-4.5cm in length. The flowers are yellow and occur in the axils of the leaves.